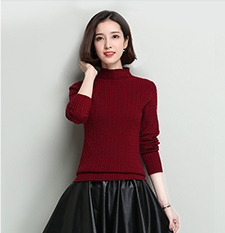 TongXiang TianHe Knitting Co., Ltd.which is located in Chinese largest woolen sweater market Puyuan town, was founded in 2008, committed to producing wool sweater, acrylic sweater, cotton sweaters, gloves, and other cotton fabric such as products. Stock service for cashmere sweater,acrylic sweater and other sports sweaters, OEM service. Our company respected" pragmatic, hard work, enterprise spirit of responsibility and honesty, win-win situation, business philosophy to create, create a good environment for the enterprise, by the new management mode, perfect technology, and thoughtful service, excellent quality is fundamental to the survival, we always adhere to the user first intentions services to customers, adhere to their services to impress clients. Welcome to the new and old customers to visit our company to guide the work of our company.we sincerely hope to cooperate with sessions friends, the future hand in hand, to share the success! "Pioneering, pragmatic, seeking efficiency, statue letter" is our spirit of enterprise, in the business, we are willing to work with friends from all walks of life to know each other on the basis of mutual trust, "mutual reciprocity and mutual benefit, the credibility of the oriented, sincere cooperation".